If you’ve actually been abducted by aliens like I have than you know the experience is rather… uncomfortable…. 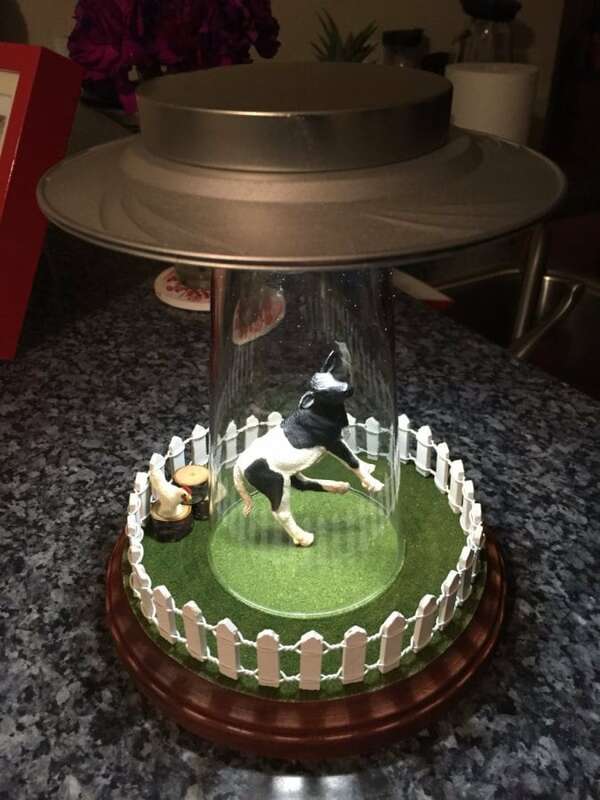 Anyways, like with most people this alien abduction lamp is probably the closest you’ll ever come to witnessing it. 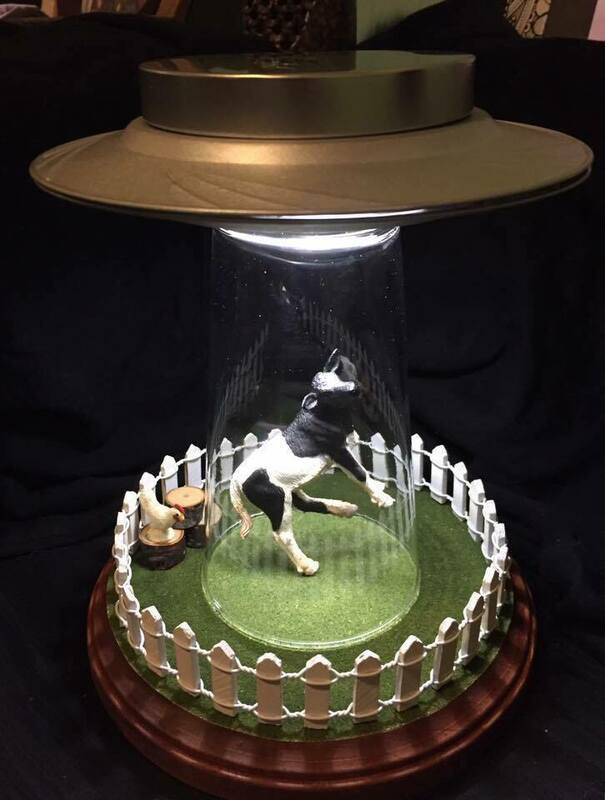 MeaganAmessCreations is a shop on Etsy that handcrafts some of the coolest alien abduction lamps we’ve ever seen. 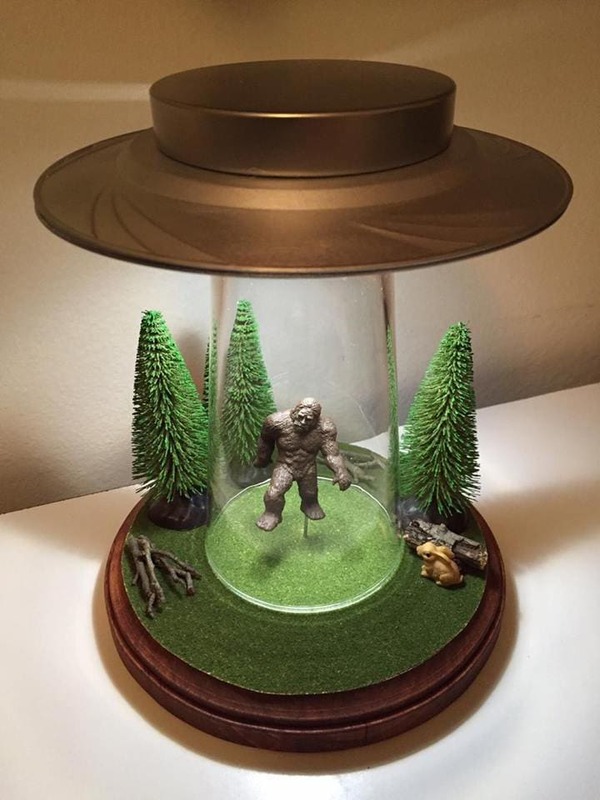 The lamp is unique and extremely detailed thanks to Meagan’s stellar craftsmanship. If you’re going from the Stranger Things themed living room, this would be a match made in Sci-Fi heaven. 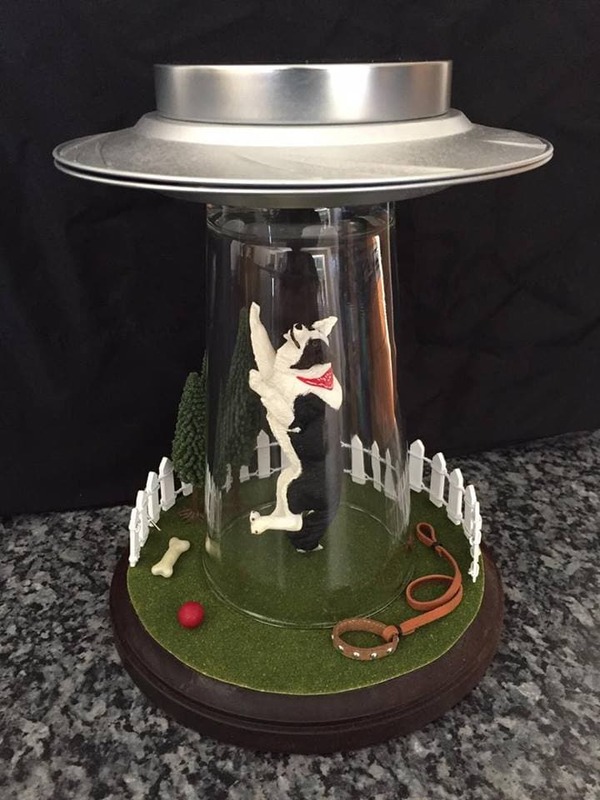 The alien abduction lamps are about 8 inches wide, and 10 inches tall. 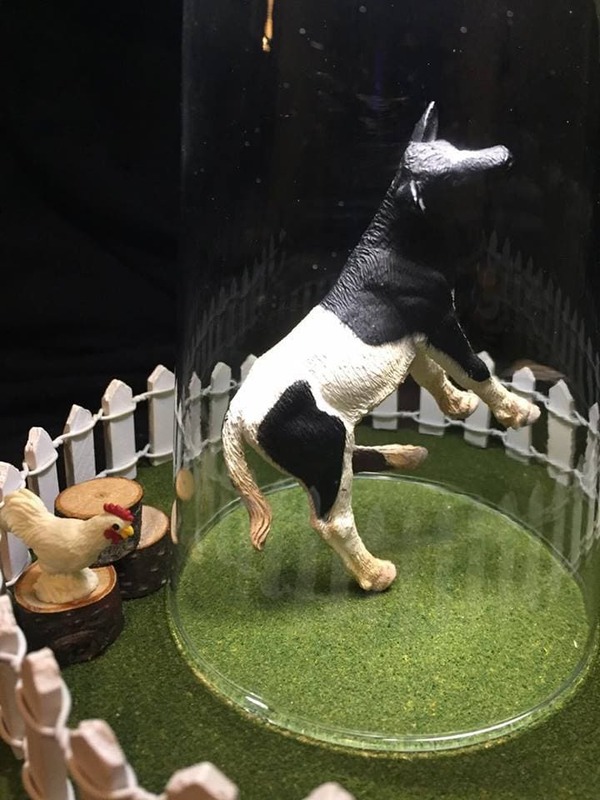 The custom pieces are of similar dimensions but can vary. Each custom piece is signed and numbered, and the cool thing is that they are touch lamps, so no messy cords will get in the way of aesthetics. “I’m using the funds to put myself through tech school. It’s taken me a long time to find out what I am passionate about, and at 28, I finally found my calling as a nail technician,” says Meagan. 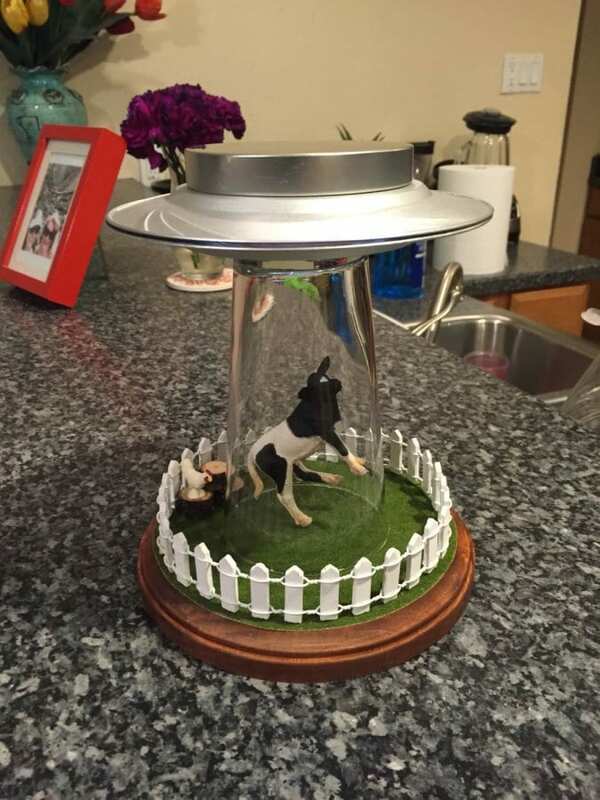 The cow version of the lamp is $65, and typically ships within 2-3 weeks from Florida. However, she does offer local pickup! If you’re interested in purchasing one you can get in touch with her over on Etsy!